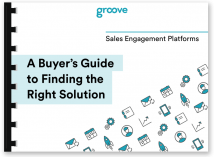 The right sales engagement platform will help your team be more productive and drive revenue. But vetting all of your SEP options might feel like a daunting task. Sign-up and receive your free guide!